The wheelchair is not only made of carbon fiber, much lighter in weight compared with steel, which make the wheelchair lighter on the whole greatly. The wheel is not carbon showed in the picture, if you also want to build this in carbon, please contact us for more information. 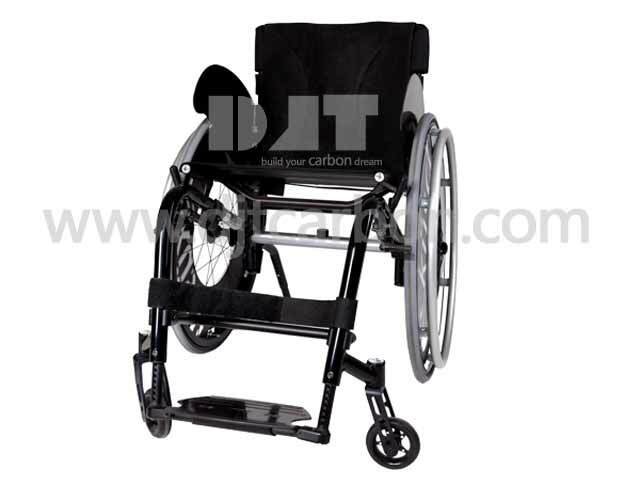 You are welcomed to send us wheelchair design to be made in carbon fiber, we will custom it exactly according to your request,the end product can be tailored to precise specifications and customized for varying degrees of stiffness in a way that steel, aluminum or titanium can not.